And we're back! 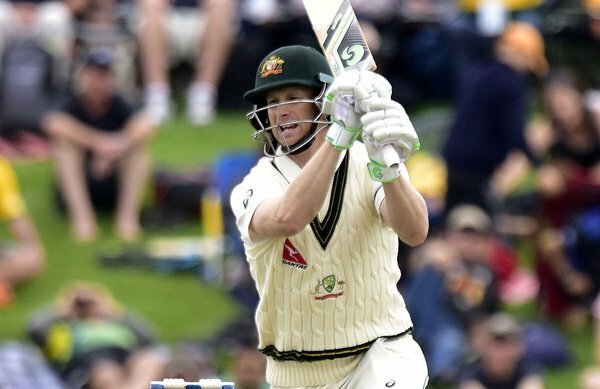 It's Anderson v Voges to begin the second session on day three. 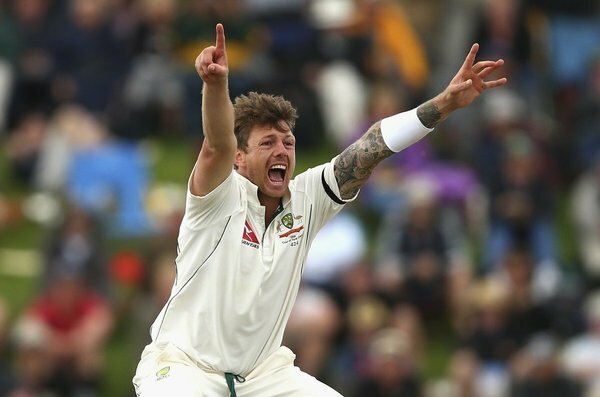 A cheeky edge for four from Bird's first ball brings up the 500 for Australia, nine wickets down. A maiden from Marsh to begin the third session on day three. NZ 1-43. A leading edge from Latham falls safely with NZ 1-49. He remains 33* with Williamson 15*. 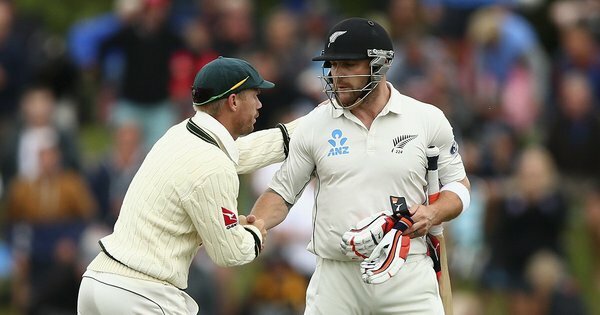 Pattinson returns and Williamson almost chops on first ball. That's the 50-run stand with Latham. 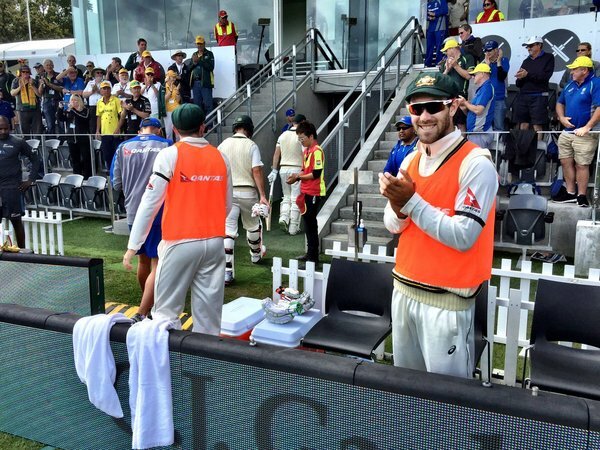 A long review there to see if Nicholls was caught behind off Pattinson. Not out! 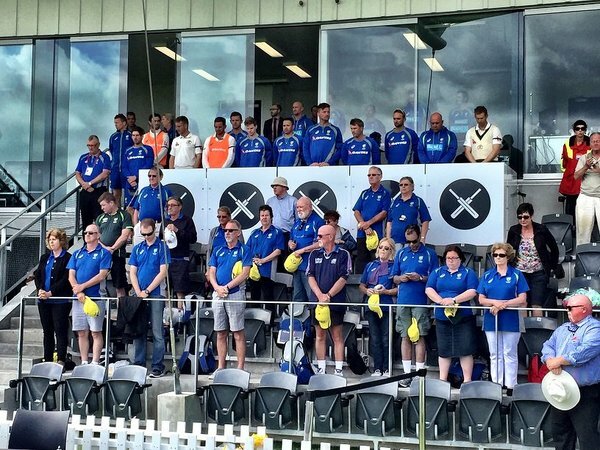 New Zealand 2-66. So close! Marsh can't hold on to the tough chance and Nicholls is off the mark. NZ 2-72. 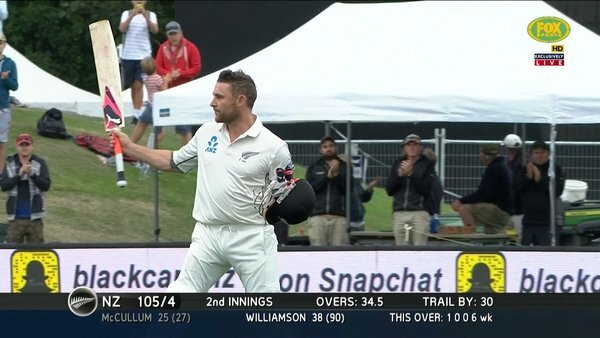 McCullum sprints back for two and he's off the mark. 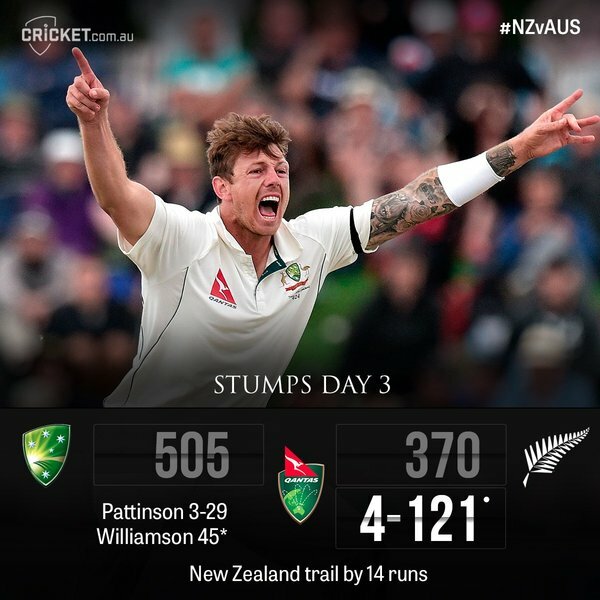 New Zealand trail by 55 with Williamson 36*. Big shout for lbw against McCullum given not out. Replay shows it would have been Umpire's Call. 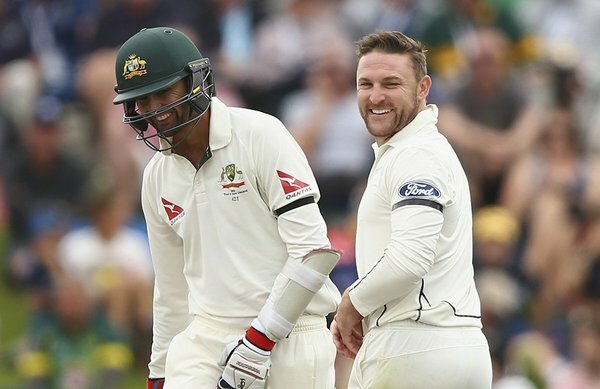 Superb over of fast bowling from Pattinson to McCullum. A maiden. 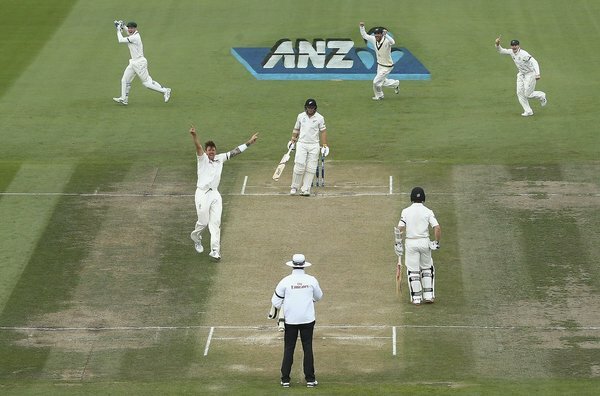 NZ 3-98, still trailing by 37 runs. 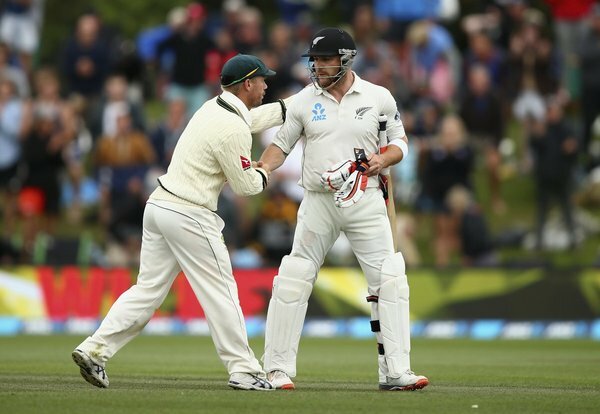 New Zealand now trail by 16 runs late on day three. 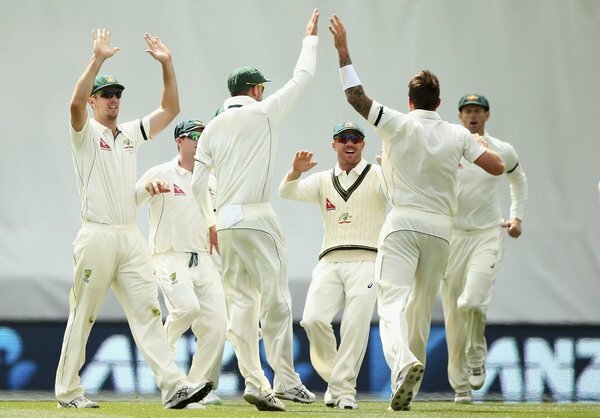 Australia pushing for the fifth wicket. That's stumps on another fascinating day of Test cricket! Thoughts?